Cold nights are coming, and you will need a reliable heater to keep you and your family warm at all times and wherever you are. 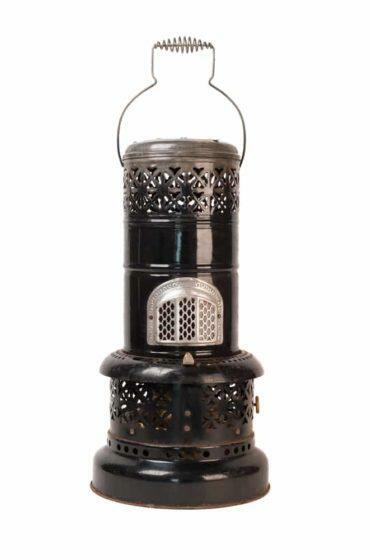 A kerosene heater is an ideal choice as it does not depend on electricity and can thus be used even outside. Although usually not a primary heating source, it is great for supplemental heat or your camping adventures as it is extremely portable. It is a good idea to buy a kerosene heater on time and be ready when the cold weather hits your town, and, for this reason, we have comprised a short guide that will inform you of all the important features a kerosene heater should possess in order to be deemed the best. Furthermore, we have tested and reviewed five currently best kerosene heaters to make choosing the one that is right for you even easier. 23,000 BTUs Heats up to 1000 sq. ft.
23.000 BTUs, Heats up to 1,000 sq. ft.
50,000 BTU, Heats up to 1200 sq. ft.
70,000 BTU, Heats up to 1,700 sq. ft.
10,000-BTU, Heats up to 380 sq. ft.
Why use a Kerosene Heater? Are there unpleasant smells when kerosene heater is used? How to properly take care of a Kerosene Heater? What are the safety hazards related to the kerosene heater use? 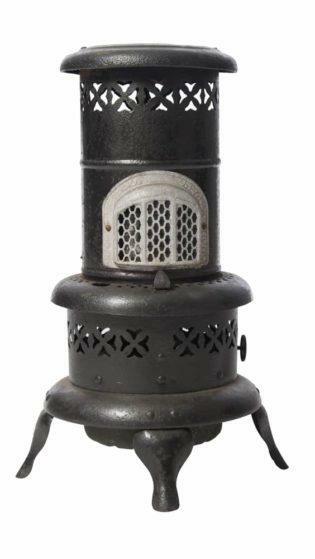 What should the best kerosene heater have? A kerosene heater or a paraffin heater is characteristically a portable, unvented, space-heating device fueled by kerosene. It operates similar to a large kerosene lamp- a fiberglass or cotton circular wick is incorporated into a burner unit fixed above a tank filled with kerosene. By capillary action, this wick draws kerosene from the tank, and when you lit it, the kerosene gets heated until it turns into a gas and heats the air as well. Most heaters of this type produce between 3.3 and 6.8 kW per hour. Some new models use electricity to power a fan which forces the heated air out and heats up space faster. They also have thermostats to control the temperature as well. However, the majority of kerosene heaters are still battery-operated or feature piezo-electric ignitor to light it without the matches or electric power. 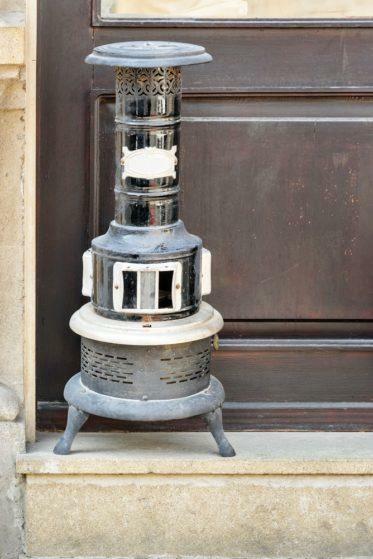 Most commonly kerosene heaters are not used as a primary heating source but rather in situations when one needs a supplemental source of heat, or there is no electricity available. They are particularly useful as an emergency heat sources during power outages. During storms and typhoons, a power outage is a common thing, and in winter time it can leave you without a heating source which can be both unpleasant and dangerous depending on how long the outage lasts. Fuel heaters can easily resolve such problems, and that is why every household should own one. Even if you use it only for emergency purposes, kerosene heater is worth buying, but it is not its only advantage. It is a highly portable heat source that takes up very little space and can be used both indoors and outdoors. Therefore, it is an ideal choice for cold nights during your tent camping adventures. When used indoors, they must have enough ventilation and safety features. Every heater that uses fuel will produce an odor, and kerosene heaters are not an exception. However, the smell will be most dominant during the filling of the heater, and it would be best to fill it outside or in a garage. When the heater is ignited, the fuel will mix with the air in the perfect ratio for complete combustion. It will take about five minutes, and during that time, the percentage of kerosene in the air is greater than usual which will create the unpleasant smell. Once the heater is burning normally, this smell will disappear. If the odor persists, the cause is most probably an improperly adjusted wick, and you can resolve this by adjusting the wick-height. Also, you must replace a wick with carbon build-up. The smell is also apparent right after the heater is extinguished. You must maintain the wicks. If your heater has a fiberglass wick, the kerosene heater should be taken outside once a week and left to operate until it runs out of kerosene. In this way, all the tar and other deposits on the wick will be burned off. If the wicks on your heater are made of cotton, you should never let the heater run dry to clean them. Instead, clean the wick with a paper towel by wiping down any residue from the top of the wick. In time the wick will need to be replaced. 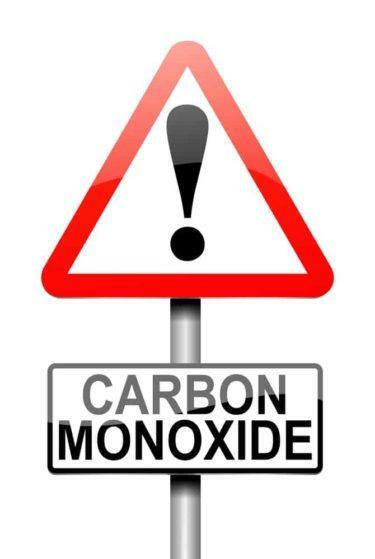 Kerosene heaters are fueled source of heating; this means they are dangerous and present fire and carbon monoxide poisoning hazards when not used properly. When used inappropriately, they can severely damage your health. These heaters are typically unvented which means that combustion products stay inside the heated space and if it is not properly ventilated as well it can lead to carbon monoxide increase. This can be life-threatening. Human senses can detect only an excess of carbon dioxide, and death usually occurs before anyone notices the danger. It is highly recommended that you always leave a window or door cracked open for the excess gas to escape. Never leave a kerosene heater unattended, especially when sleeping. Make sure you properly adjust and fuel the heater, and maintain it regularly. Use it responsibly and far from flammable things. Always follow all the recommended safety measures. An auto shut off feature is a must if you want to use your kerosene heater indoors safely. A tip over safety switch is also an important feature you should consider. Fuel type heaters provide more heating power than electric heaters but are a bit risky to operate. It is important to know the amount of heating in BTUs since it can be a bit confusing. In short, an average kerosene heater provides 8,000-15,000 BTUs, while a superior one can provide more than 25,000 BTUs. The best kerosene heaters are portable and feature easy to carry handles. The heater's weight and size influence its portability but also consider wheels and handles. Before moving the heater, you should drain all the fuel out of it for safety. Both the wire frame and its enclosure should be cool to touch as to avoid injuries. The time it takes to heat up space should equal the fuel capacity. Your fuel capacity dictates whether there will be enough fuel to reach the desired temperature in reasonable time. The tank capacity also defines how long the wick will last and how long it can keep the space heated. Some kerosene heaters can also run on other types of fuel such as diesel, but switching containers can be very dangerous as mixing different fuels together, even a single drop, can result in an explosion. Most fuel tanks will last for 8-10 h, but some can even deliver as much as 15 h of heating. As it is more expensive to refuel the heater, it is better to choose heaters with greater fuel capacity. Kerosene heaters, as already stated, can run on straight kerosene, but some models also run on batteries or outlet power. Consider what the best options for you are and inform yourself before buying a heater. Dura Heat heater is an excellent choice for a central heat source able to heat your space in 360-degree radius as it outputs heat in all directions. It provides 23,000 BTUs, can heat up to 1000 square feet and does not need electricity to work. Filling it is easy, but we used a funnel to avoid spilling as the tank opening is rather narrow. This heater is ideal for emergency situations which call for a portable heater as its size and weight allow for it to be moved. It can be safely used indoors due to incorporated safety features such as a tip over safety switch and a drip tray that does not allow for kerosene to leak into your room. A metal cage around the heater prevents touching the heat source at the center. It is easy to assemble and operate with the exception of the wick replacement which is fairly confusing and poorly explained in the manual. It is efficient as the full tank provides you with at least eight hours of heating and the unit need almost no supervision. There is virtually no odor after the initial one produced by ignition, so we recommend lighting it outside to avoid the smell altogether. The Dyna-Glo RMC-95C6B Heater produces 360-degree convection heat. Rated at 23,000-BTUs, it can heat up to 1,000-square feet with one full tank of kerosene in 8-12 hours It is UL certified and meets all applicable standards; it also includes a safety tip switch and a manual shut off knob. Weighing only 23.15-pounds, it can be easily moved around your house. When first lit, it creates a bit of smoke and odor, but it is soon dispersed and therefore not a real concern. The only negative feature we have noticed so far is the carrying handle which is attached over the flame and thus gets hot from the heat. There is a heating coil around the handle that protects your hand though, so you will not get burned, but you will definitely feel the heat and not feel comfortable. The burner knob has the same problem as it also gets hot quickly. The manual is quite detailed, and it is easily assembled and used. Once again the tank opening is narrow, and we recommend using a funnel as to avoid spilling kerosene. 1-year limited warranty offered gives some assurance of the quality of this heater. Dura Heat DFA50 is a 50,000 BTU portable kerosene forced air heater which means that it requires 120v grounded outlet to operate. The electrical system is fuse protected, and the ignitor is ceramic. It is easy to start with one-touch electronic start ignition which puts a high capacity sealed fan motor into motion. The fuel tank has a 5-gallon capacity, and the fuel consumption is 0.38 gallons per hour, which means that one tank can last up to 14h. This heater is multi-fuel type - it can use kerosene and other fuels as well. It has been tested with #1 and #2 fuel oil and diesel, but do mind that K-1 Kerosene produces the least odor. In any case, this heater is much cleaner than wick type ones. It does not come with a thermostat, but the manufacturer offers a compatible external thermostat that can be bought separately to run the manual control, and we recommend buying it. Dura Heat DFA50 heats up to 1200 squares very quickly, but it comes at the price as the fan produces quite a bit of noise. Another feature we did not like is the short cord which might not allow for the heater to be positioned exactly where you want. Although the most expensive heater reviewed, it is also the most powerful one as it produces 70000 BTUs and can heat up to 1700-square feet. It is the only model with a built in thermostat as well, which enables you to regulate the temperature of the room without having to turn the heater on and off constantly. It can run for nine hours on a single tank which takes 5 gallons of fuel. It is also a "Multi-Fuel" heater that can work with Kerosene, #1 & #2 Fuel Oil, JP8, Jet A Fuel, and Diesel, that can be very beneficial at times. The tank is permanently attached to the heater which makes it easy to move around. As it is another fanned heater it requires electricity which makes it unsuitable for power outage situations or camping, but it offers warmth on cold winter days in your house, garage, working space or even patio. It is a genuinely useful product and has no faults except that it is a bit loud but no more than any other heater of this type. Sengoku CTN-110 is a budget friendly option for those who want a supplemental heating device and do not need to heat large space. As it does not require electricity, it is also a good solution in case of power outages. It is simple to operate- you pour kerosene into the tank, and you are ready to go. It is lightweight (only 20 lbs.) and features two comfortable handles. The Sengoku CTN-110 will burn for up to 14 hours on a full tank (1.2 gallons of fuel) which makes it highly economical. It creates up to 10,000 BTUs- quite enough to heat an average room, garage or a cold camping site. Sengoku CTN-110 Heater is easily started thanks to auto ignition and EZ flame adjusting technology. It is UL listed, encased in a protective guard and features both auto shut off and a tip over switch - so safety is not an issue. It comes with a siphon pump, four C batteries, and 2-year limited warranty. The only negative thing is the noticeable amount of fumes- mostly present for half an hour after ignition and after it is turned-off, and most probably the result of a low-quality wick. In this case, we could not reach a definitive decision, and we thus recommend both Pro-Temp Kerosene Forced Air Heater and S﻿﻿engoku CTN-110 KeroHeat Radiant Kerosene Heater. They are quite different in terms of price, intended use, and incorporated features- but they are also both an excellent choice depending on your needs and budget. In fact, all the reviewed heaters will do a great job at keeping you warm- so hurry up and prepare yourself for the cold days and nights.